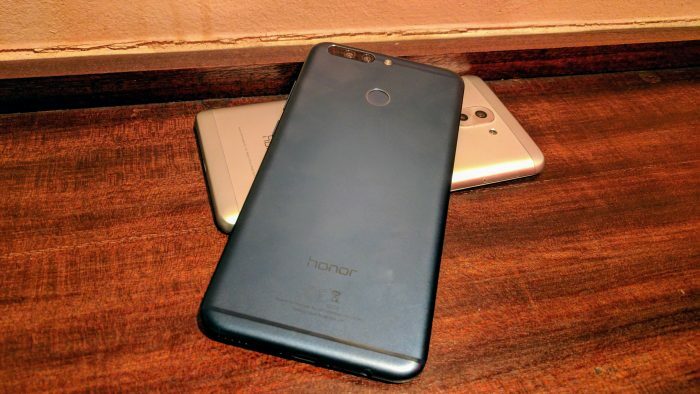 You may remember how excited we were to get our hands on the Honor 8 Pro when it was announced on April 5th. We got to spend some time with a blue one in a pub before the announcement and it won me over. So I preordered one while bandannas were being brought back into fashion, and there was quite a build up until the expected ship date of April 20th. April 20th came and went, and the advertised shipping date for later pre-orders came and went (April 27th). As listeners of the Coolsmartphone Podcast probably noticed, I was bitter. It’s now May 3rd, the day before Star Wars Day, and I still haven’t had a message from Vmall.eu to let me know that my device will be shipped to me. It turns out I’m not the only person waiting for their Honor 8 Pro to be shipped, so I reached out to vmall and Honor for an update. Wilkin Lee, Sales and Marketing Manager for Honor in the UK, got back to me and explained what is going on. “We apologise for the delay with the Honor 8 Pro from Vmall, which is essential to ensure the best experience for our fans and consumers when it arrives. As a techie myself I understand how eager our fans and consumers are in getting the latest products from us as soon as possible. So there you have it: there must have been massive demand outside China for the Honor 8 Pro (AKA Honor V9 in China). So much demand that Vmall’s original estimate of a 15 day lead time for delivery has balooned to a month lead. The Honor 8 Pro offers unrivalled value for money in the ~£500 price range, and benefits from a wider ecosystem of accessory options. I’ve already had cases and screen protectors delivered (all the way from China), and a fnake Xtremeskin.